Ramos Pinto LBV 2013 Wins Gold in the DWWA! 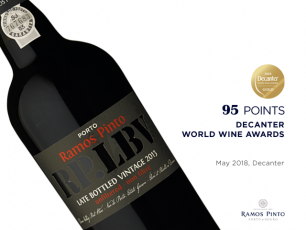 Congratulations to Ramos Pinto whose Late Bottled Vintage 2013 has just picked up a Gold Medal and 95 Points at the Decanter World Wine Awards 2018! Contact Christine Allen to find out more about this Gold Medal winning wine.